Every quarter Hasbro highlights a few games and toys that are the latest and greatest toys. As a partner with Hasbro, I’m excited to share a few of our favorites with you from this last quarter! 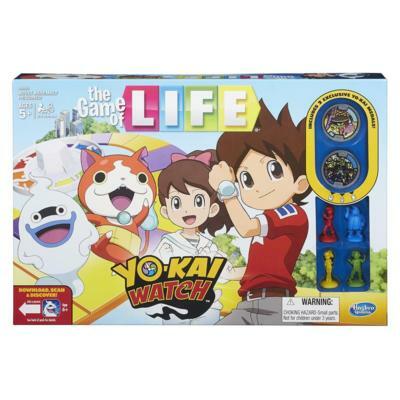 One of the games that my whole family enjoyed was The Game of Life: Yo-Kai Watch Edition . The older kids thought it was pretty cool to go around trying to collect the game medals. Although I will say that it really didn’t feel like I was playing Life, since the game is set up so differently, it does have some similarities. You have to collect energy before you can acquire any metals, so I suppose that would be similar to getting the education/job in original Life and then being able to navigate the game board to acquire things as you go. 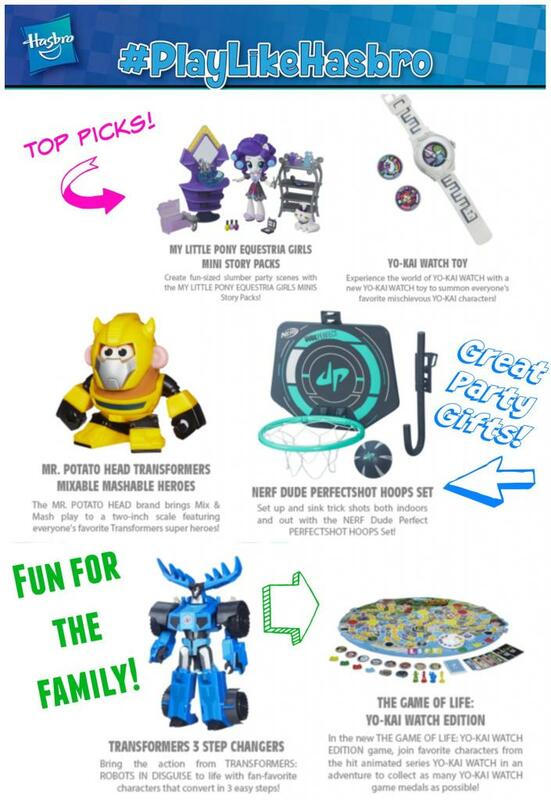 If you want to #PlayLikeHasbro and check out any of these latest and greatest products of the season, check out where to find them and more information about each game below. 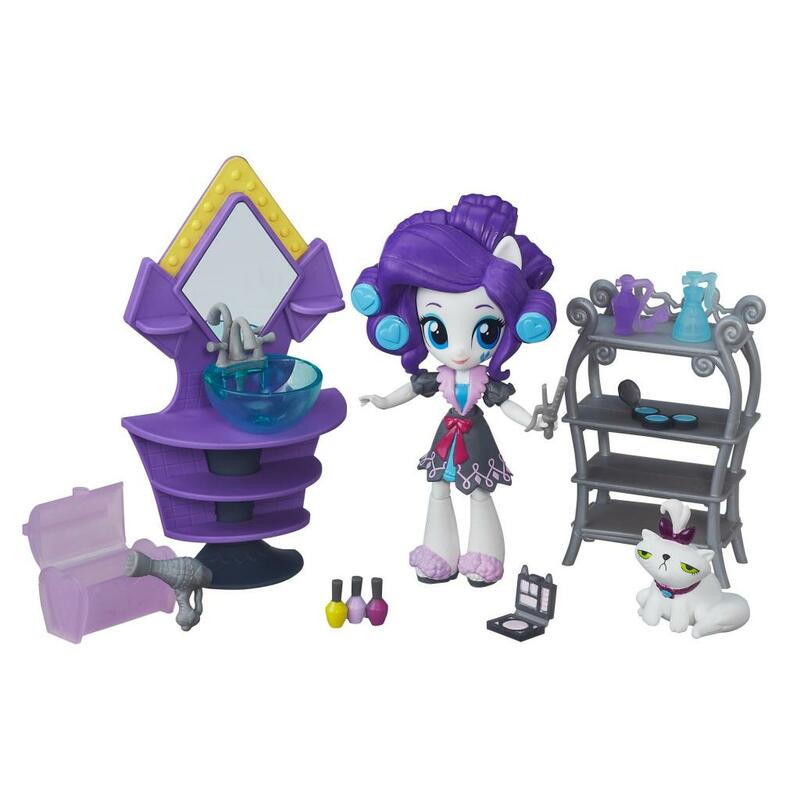 My Little Pony Equestria Girls Mini Story Packs – Mini-sized fun! Yo-Kai Watch Toy – Fans can imagine summoning Yo-kai characters, and when used with the medals, the Yo-kai watch plays sounds, music, and phrases. Insert one of the collectible medals displaying a Yo-kai into the watch to hear the character’s name, tribe song and more sounds. Mr. Potato Head Transformers Mixable Mashable Heroes – Transformers and Mr. Potato head, how could you go wrong? Nerf Dude Perfectshot Hoops Set – Everyone loves to toss a ball around once in a while. Sometimes that urge is mini-sized! Transformers 3 Step Changers – Robots in disguise, in 3 speedy steps! My son loves these awesome new toys! Do you have any picks for the latest and greatest toys of the season? I’d love to hear them! Thanks to Hasbro for sending us some of the latest and greatest toys to play with, all opinions are my own. NextRogue One: A Star Wars Story – New Trailer! Education pick of the month – Junior Explorers, where wild adventures await! Rainraps – A great gift idea for the holidays, or any occasion!